Subject: Regarding Your Email Titled: "Thank you, Spencer"
As a registered Republican voter in North Carolina, but effectively an Independent at heart, I was an enthusiastic supporter of your husband in the 2008 Presidential election and therefore representative of a key demographic in a "Battleground State" that put you both in the White House. I once had "Hope", which you and Barack have since quelled. To begin with, you failed to respond to my numerous implored requests (click here for just ONE of many instances) to take a interest in helping resolve "the worst bank foreclosure fraud in U.S. history". (Note: if you Google that which is in quotations, my plight will invariably be in up to 8 of the top 10 results returned, and if you click on the underlying hyperlink to this quotation, you will be provided with a precis of this travesty). And all you had to do was simply inquire about it. Which leads me to my next point. America has no tolerance for LIARS, and Barack has shown himself to be a prolific prevaricator, where the below video has 65 of his LIES. 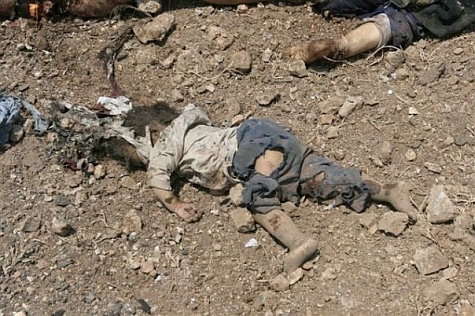 Moreover, your husband's secretive drone strikes have managed to murder hundreds of children (see below picture of one such child, and imagine how you would feel if this were Sasha or Malia and then multiply that unimaginably horrific feeling by a few hundred). 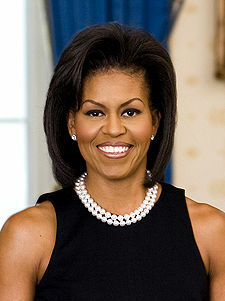 In my opinion, your husband should be prosecuted for Crimes Against Humanity as a War Criminal. Although I don't like the prospect of Mitt Romney as President, you and Barack are in for a rude awakening in November . . . for I believe I represent the views of MOST swing voter Americans in saying: "Enough is enough . . . you MUST go !! ", and I believe this will be the case with virtually EVERY incumbent, and this will continue until those elected finally get it. The time has come to take back our nation, as you and Barack have failed miserably in living up to what were once highly promising expectations. Tomorrow's a big fundraising deadline. It's a simple equation, really: What we put into this campaign is what we'll get out of it. I'm ready to work, and I hope you are, too.